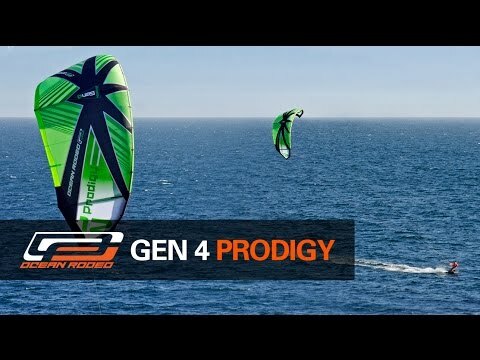 The guys at Ocean Rodeo are proud to present the fourth generation Prodigy, a kite built to accommodate virtually all riders who love freeride and waveriding and designed to face all conditions. Built around a robust 3 strut design, OR’s most popular kite to date comes by its success honestly. Featuring a massive wind range and incredible flight stability the Prodigy is an ideal choice for kiters looking for the perfect freeride or wave kite. With superb power delivery and a generous, forgiving feel the Prodigy delivers smooth turns and effortless big airs and hang time while sitting perfectly in the window and drifting with you when you’re powered up and on a wave. Check out the new 2016 Prodigy kite in action in the promo clip below.